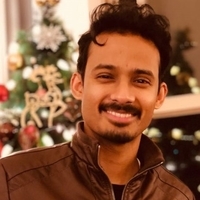 Siddhartha Jana (Sid) is a research scientist and a member of the P3 (Power Pathfinding to Product) Team under the Data Center Group at Intel. Sid earned his Ph.D. in Computer Science from The University of Houston (USA), under the guidance of Prof. Barbara Chapman. Prior to his Ph.D., he pursued his Bachelor’s degree in Computer Engineering at The University of Mumbai (India). His research background includes software-hardware codesign, programming models, runtime systems, network fabric, and compiler design. His active research focus is on enabling power management via the interaction and coordination among different components of the HPC system stack. His doctoral dissertation titled, “Optimizations for Energy Efficiency within Distributed Memory Programming Models”, focused on costs associated with data movement in distributed systems, and highlighted the need for software-hardware codesign.